Multiple H.264 (High profile) streams (max. 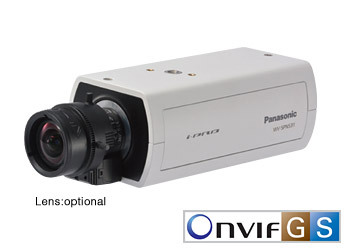 4 streams) and JPEG streams ensure simultaneous real time monitoring and high resolution recording by new enhanced "UniPhierฎ", Panasonic's proprietary System LSI platform. High Speed ABF (Auto Back Focus) ensures easy installation.